She-Hulk has been one of those Marvel characters that has constantly gotten makeovers as different writers have taken control of the strip. One of my favorite incarnations has been when John Byrne became the writer/artist for the book. His take on She-Hulk was fun and light-hearted for the most part, but he brought in some wild adventures as well as a constant flirtation with the fourth wall – sometimes talking directly with the readers. 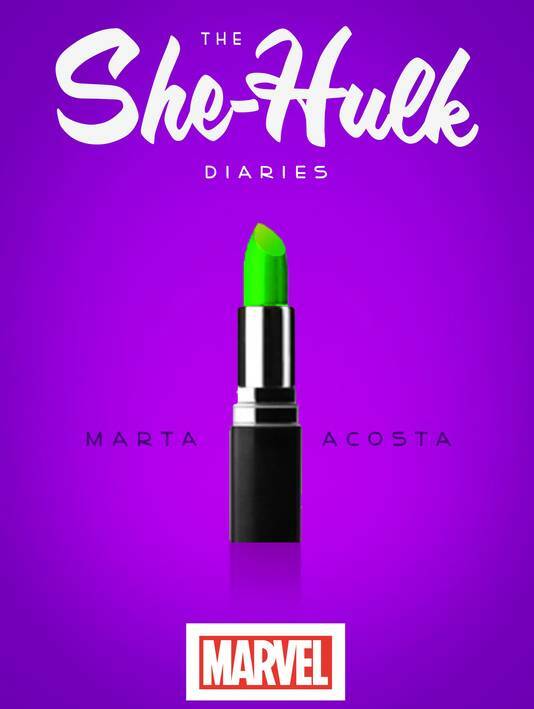 Novelist Marta Acosta (author of the Casa Dracula series) puts her own spin on Byrne’s vision of She-Hulk in this new YA/New Adult novel. The first person narrative really zips along and I got a much deeper perspective of Jennifer Walters’ and She-Hulk’s worlds. The author has a lot more room to play with in the book than a comic writer usually does (unless the storyline leaves readers hanging for months), and she does a tremendous job using every inch of the increased landscape. Acosta also does a fantastic job of incorporating all the new social media into her story, posing all the problems that She-Hulk would have with her brazen personality. One of the best parts is when Jennifer has to look for a job, to keep a roof over her head, and it’s that struggle that makes her more human than I’ve seen her in the comics in a long time. Comic book fans hoping simply for more of She-Hulk’s adventures might be disappointed in the novel because it focuses more on the woman and on Jennifer Walters than She-Hulk. However, Acosta also offers some tangible bits regarding the rest of the Marvel Universe (especially in the hilarious diatribes posited against Tony Stark – which triggered visions of Robert Downey Jr. again and again). She-Hulk Diaries isn’t a must-read, but the novel is definitely a lot of fun and whimsy. Pick it up for an easy no-brainer with more than a touch of Marvel Comics history. If you’re not a comic fan, the book will still entertain. Janet Evanovich would write a superhero novel that would turn out a lot like this one. This entry was posted on July 3, 2013 at 2:13 pm and filed under Adventure,Comics Related,Humor,Marvel Comics,Young Adult. You can follow any responses to this entry through the RSS feed. You can leave a response, or trackback from your own site.